I have recently returned from monitoring the Catalan independence trial at the Spanish Supreme Court in Madrid - where Catalan independence leaders are being tried for crimes of rebellion, sedition and misuse of public funds, for International Trial Watch. It is an unusual trial and highly-divisive trial. Instead of a first-instance court, a seven-judge Supreme Court panel presides. As Spain's highest court, there will be no merits appeal. For a case about such serious crimes, the evidence is surprisingly mundane. Much time is spent on procurement and payment procedures for referendum-related services, facts pertinent to the misuse of funds charge. To prove rebellion, the prosecution must show violent insurrection. But witnesses talk only of incidents of a kind expected during large, otherwise peaceful protests. There are three prosecutors: the public prosecutor, state attorney, and Vox, the far-right party bringing a "popular indictment". They sit side-by-side, pressing similar lines of questioning; a strange sight with elections approaching. Defendants complain they cannot properly prepare because evidence from secret investigations is withheld. 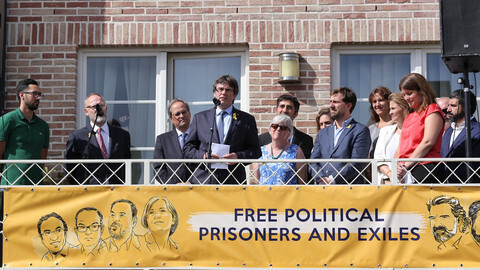 They are prevented from questioning witnesses' relationships to Vox, while prosecutors freely question relationships to the pro-independence NGOs, Assemblea Nacional Catalana and Omnium Cultural, whose leaders, Jordi Sanchez and Jordi Cuixart, are defendants. On the other hand, the judges consistently prevent prosecutors from dramatising witness statements. And the general impression is of an earnest court dealing with a mess not of its own making. 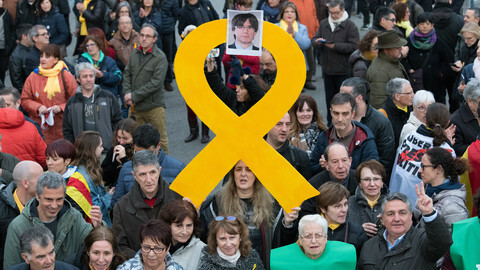 For whatever can be seen at trial, the damage was done pre-trial by overbearing responses of the Rajoy government and investigating magistrate. Widely considered a rights violation, the two civil society leaders were detained and indicted alongside government officials. All were charged with crimes commonly understood as existing for coups d'etat. 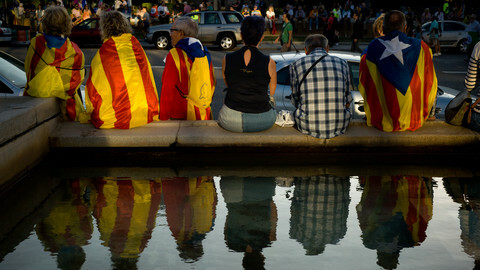 Some were held for over a year in pretrial detention, in part for not renouncing "independentist" beliefs. Public statements were made on defendants' culpability, inflaming public opinion and violating the presumption of innocence. 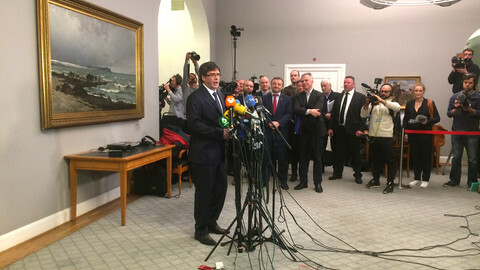 Catalan officials who fled were sought through the misuse of the European Arrest Warrant, withdrawn when a German court said it could be used only for the misuse of funds charge. Despite obligations under Spanish law, it was decided not to pursue the case on that charge alone. For some, these actions showed a disregard for law similar to that which the Catalan officials are accused. And the approach drove a wedge between Spain's peoples. 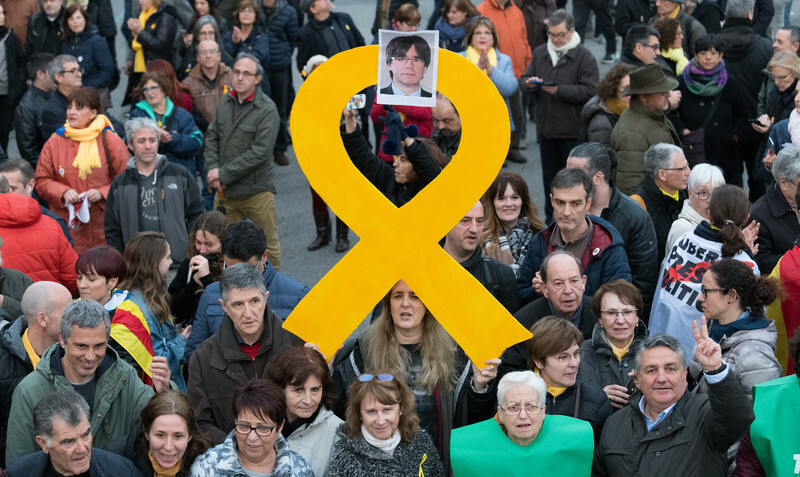 What is really needed is not the theatre of a rebellion trial, but a forensic examination of whether public funds were misused and a process of dialogue and negotiation on how the Catalan peoples' right to self-determination can be satisfied in Spain. The EU should be at the forefront of encouraging this. As shown by its Nobel Peace Prize, its multi-layered governance system – based as much on dialogue, negotiation and compromise as equality and the rule of law – is the best we have ever known for binding Europe's many peoples together. EU member states learn from each other and may adopt Spain's divisive pre-trial approaches to their own minorities. This needs to be prevented. As this trial is showing, divisions caused by the criminalisation of self-determination campaigns are not easily reconciled. Back in Belgium after Spain lifted a European Arrest Warrant against him, the separatist former leader wants to be the real power behind the region's government and a new push for independence.